Atomic Vapor only ships to domestic adresses within the USA via USPS. All orders will recieve a USPS Delivery Confirmationnumber that can be viewed by logging into your Atomic Vapor account and viewing your order details. Please keep in mind that Delivery Confirmation numbers are only to verify that the package has been delivered and should not be confused with an actual tracking number. Orders placed on weekdays will normally ship within 24 hours. This excludes national holidays and weekends. Many orders leave the day they are place but this is not guaranteed. Any order placed on a weekend or national holiday will be shipped on the next business day. Once shipped, you should expect your package to arrive. 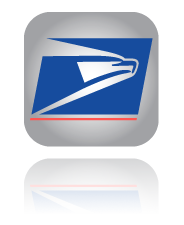 USPS - First Class with an estimated delivery of 2 to 5 business days. USPS - Priority Mail with an estimated delivery of 2 to 3 business days. To insure quality, all products are inspected by Atomic Vapor prior to shipping. Upon receipt of package, the Customer shall inspect products for order accuracy. If the order is found to be inaccurate, contact Atomic Vapor at atomicvaporco@gmail.com to rectify the issue. Due to the intamacy of electronic ciggarettes, Atomic Vapor maintains a no return policy. With this in mind, the customer should ensure that the purchase being made is correct before payment is complete. Atomic Vapor understands that problems may arise with products and will always work with customers to ensure complete satisfaction.